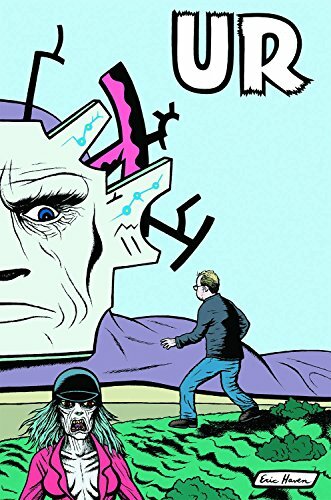 UR is a collection of work that has appeared in various comic anthologies. Dark, absurdist, and deadpan, these stories reflect the apocalyptic undercurrent of the modern era. Also included is Eric Haven’s long-running comic strip “Race Murdock” which appeared in The Believer magazine. UR is a collection of work that has appeared in various comic anthologies. Dark, absurdist, and deadpan, these stories reflect the apocalyptic undercurrent of the modern era. Also included is Haven's long-running comic strip "Race Murdock" which appeared in The Believer magazine. Eric Haven is an Emmy-nominated producer on the television show MythBusters. His hand can be seen creating the blueprint drawings that open each episode.